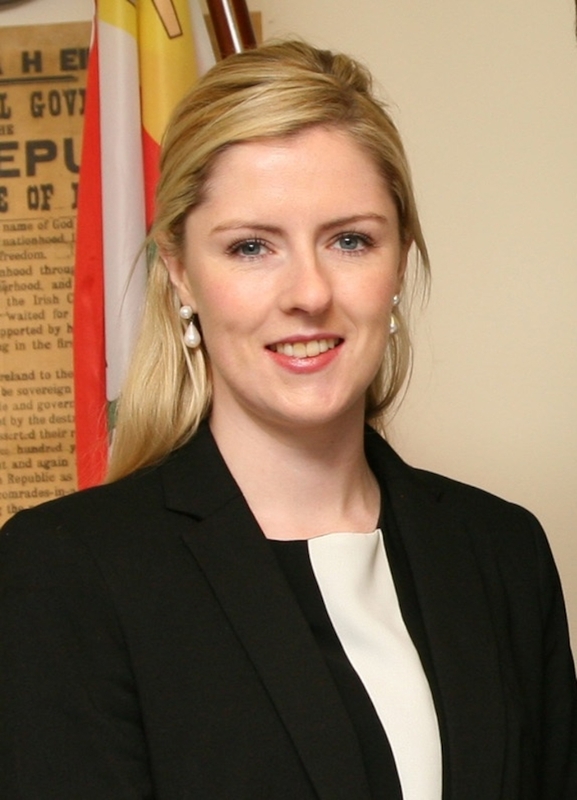 Fianna Fáil TD for Mayo, Lisa Chambers, has said this week that she fears an automated future for train stations in Castlebar, Claremorris and Ballina is coming where passengers will not be able to get assistance from staff for the purchase of tickets and with other issues that might arise. Chambers said this week that: "Irish Rail have for the last number of years pushed hard to get customers to book their tickets on line but this doesn't work for everyone and having staff at the station is key to providing a full and proper service in the county town and across Mayo. "It has been brought to my attention by Irish Rail staff that the company now plans to upgrade the machines used by staff to sell tickets at the stations, with the old machines becoming obsolete at the end of March, however Irish Rail does not intend to provide a new machine to Castlebar, Claremorris or Ballina and only Westport will get the upgraded machine. "This means passengers will no longer be able to go to the counter at these stations to purchase a ticket from a staff member. Irish Rail will no doubt point to the fact that there are self service machines at the stations that passengers can use themselves to purchase a ticket but these machine do not provide a full service and there are limitations compared to purchasing from a staff member. "At the self service machine you can only purchase a ticket for travel on that particular day, you cannot get a ticket for travel on a future date. We know that many passengers like to purchase in advance, particularly if they are getting a very early train the next day. Also you can only purchase a ticket for the Mayo line at these self service machines, so for example, if you are heading on to Galway, Cork or Waterford, all of which are popular destinations, you will not be able to buy a full ticket for the final destination and will have get off in Athlone or Dublin to purchase another ticket for the second leg of your journey. "Currently you can buy the full ticket at the station from the counter and it generally works out cheaper. There are concerns that if we move to a fully automated service where we only have machines and no people, then the service provided will be of a poorer quality. For those travelling with a disability a staff member is needed at the station to facilitate ramp access to the train. What has been happening recently where a staff members is off and there is no one manning the station, passengers are being asked to travel from another station further away so as to get assistance, this is totally unacceptable. "Staff working at the station also provide information to tourists, keep the station clean and ensure adequate security for passengers, all of which we should expect at a properly functioning train station. These are jobs and services a machine simply cannot provide." "Towards the end of last year we had major changes to our bus services with a loss of service to a number of towns in villages in Mayo on the Galway route and people were given a weeks notice. I don't want to see the same happening with our train service. If changes are coming I expect people to be told about it and these changes explained and justified. I have written to the transport Minister seeking this information and asking that a full and proper train service with staff at our stations be maintained. The consistent downgrading of rural services has to stop."